Fall under the spell of one of America's oldest country homes, a neoclassical estate overlooking Otsego Lake in Glimmerglass State Park. Built between 1817 and 1834, this stately mansion dates from the era of Jane Austen. Explore 50 different rooms on a guided tour, from intimate private spaces to lavish halls for entertaining. Each is regally outfitted with well-preserved period furnishings and artwork. Be wowed by exquisite architectural details that blend American and British design in a post-Colonial world. Relish gorgeous views of the lake and bring a picnic for a glamorous al fresco lunch on the garden grounds. What makes Hyde Hall in Cooperstown special? 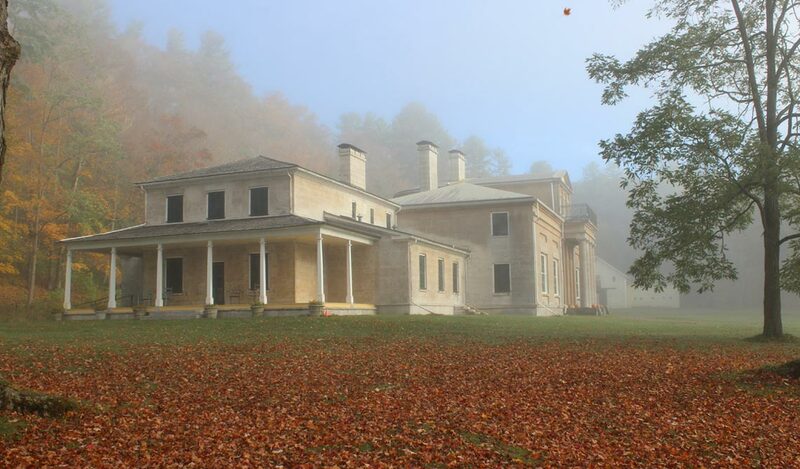 When built in the early 1800s, Hyde Hall was the largest private home in the U.S. Its design combines the architectural traditions of America and England. Declared a National Historic Landmark in 1986, the iconic mansion boasts rare colonial artifacts and a picturesque setting on Otsego Lake. What collections can I see at Hyde Hall? Explore a vast collection of artwork, carpets, furnishings, lighting, and decorative objects that date back over two hundred years. See vintage books, restored historic clocks, and kitchenware including copper pots, silver serving sets, and a venison warming tray.